Imagine being a little kid, driving home late at night with your dad. You drop off to sleep, more or less, but you're awake enough to feel your dad scoop you up, carry you into the house, and gently tuck you into bed. 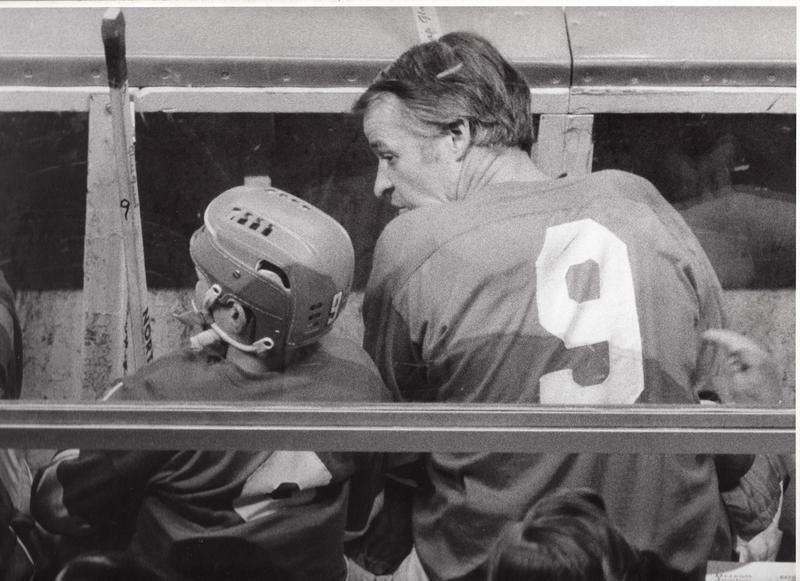 Now imagine that dad is NHL legend Gordie Howe, and he's tucking you in just a short time after he thrilled thousands of Detroit Red Wings fans cheering for Mr. Hockey at Olympia Stadium. It was recently announced that the National Hockey League (NHL) will not be sending its players to the 2018 Winter Olympics. The last time NHL players weren't included in the Olympic hockey tournament was in 1998. After nearly two decades, that is expected to come to a close next year when the Winter Games are hosted in Seoul, South Korea. Stateside's conversation with Megan Keller, a defender on the U.S. women's national hockey team. 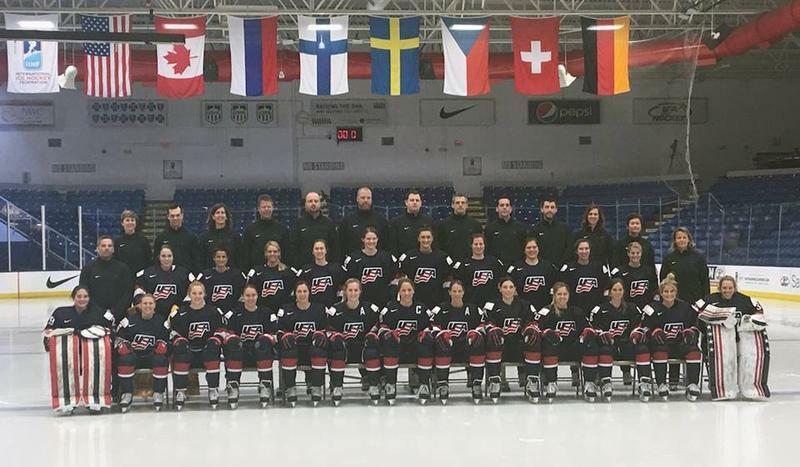 The U.S. Women’s Hockey team will play in the IIHF World Championship after all. 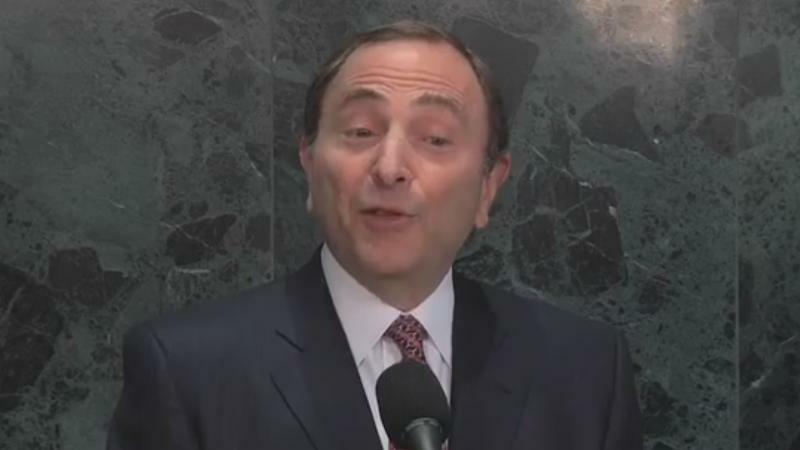 The team ended their threat of boycotting the tournament after agreeing to a four-year deal with USA Hockey. One of the players happy to be back on the ice is Farmington Hills native Megan Keller. The defender who plays college hockey for Boston College joined Stateside to talk about what the women's national team was hoping to gain from the new deal. It's been called "Brawl in Hockeytown." Some call it "Fight Night at the Joe." On March 26, 1997, Darren McCarty of the Detroit Red Wings punched, then kept on punching, Claude Lemieux of the Colorado Avalanche. The reason for that fight happened 301 days earlier in Game 6 of the 1996 Western Conference Finals when Lemieux hit Wings center Kris Draper from behind, sending Draper face-first into the bench and smashing his face (see video below). 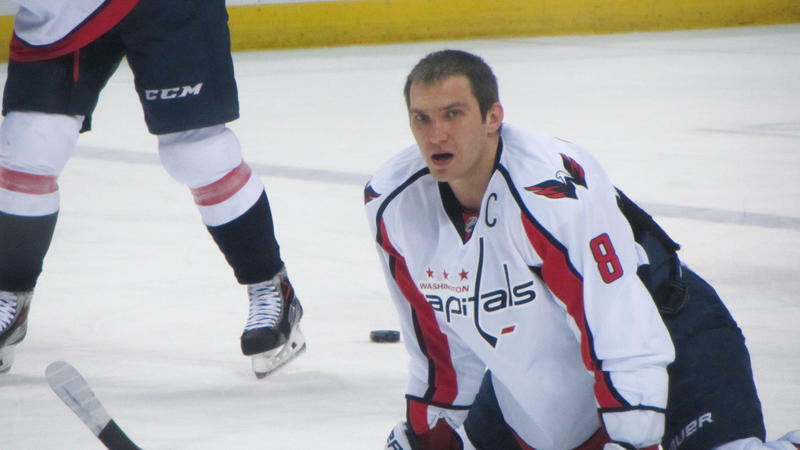 He suffered a broken orbital bone, a broken cheekbone, a broken nose, a broken jaw and a concussion. The most compelling sports story of the week was not the NFL playoffs, the college football playoffs, the NBA, or the NHL. It wasn’t even televised. 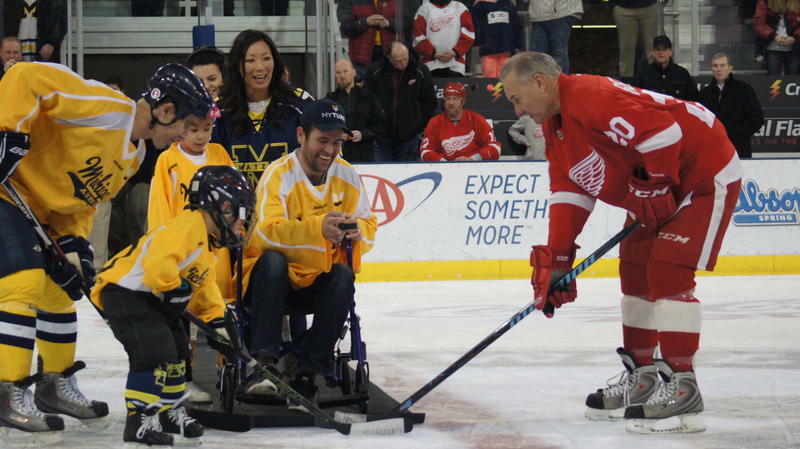 On Saturday night, the Red Wing alumni team took on a squad of former University of Michigan players. It was just an exhibition, which only mattered to those who thought it mattered. But 2,000 folks did, because it mattered a great deal to a former Michigan star named Scott Matzka. 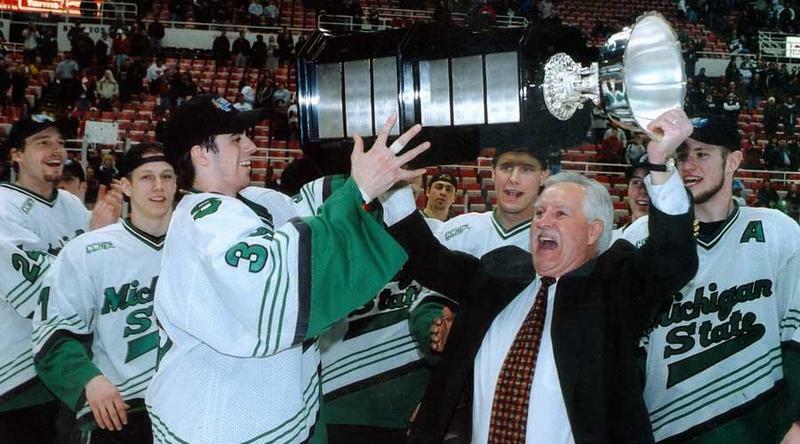 Ron Mason, who spent 23 years as Michigan State's head hockey coach and ranks second on college hockey's all-time wins list with 924 career victories, passed away early Monday at age 76. Sports and theater come together in "Hockey - The Musical!" Ice arenas and fights are among the first images to come to mind when someone thinks about hockey. When author and playwright Mitch Albom thinks about hockey, he has one thing on his mind: musicals. "Hockey - The Musical!" will be making its opening debut tonight for a month-long run at Detroit's City Theatre, and Albom hopes it will bring together theater geeks and sports fans alike. The full segment on Stateside. There’s a lot of complaining these days that youth sports are too expensive and competitive. And, in fact, kids are dropping out and most sports are on the decline in the U.S.
One sport that is not losing players is hockey, which has also changed the way it trains young athletes. The approach has been so successful that the U.S. Olympic Committee recently adopted it. Emails from an order for 500,000 ignition switches by General Motors from December 18th have been released. Jeff Bennett broke the story for the Wall Street Journal and talks to us about the importance of these emails in a pending legal case. In Ann Arbor, kids caught spray-painting serve their community service time by cleaning up graffiti under the Juvenile Graffiti Removal Project. Listen to Sgt. Thomas Hickey of the Ann Arbor Police Department discuss his creative idea. 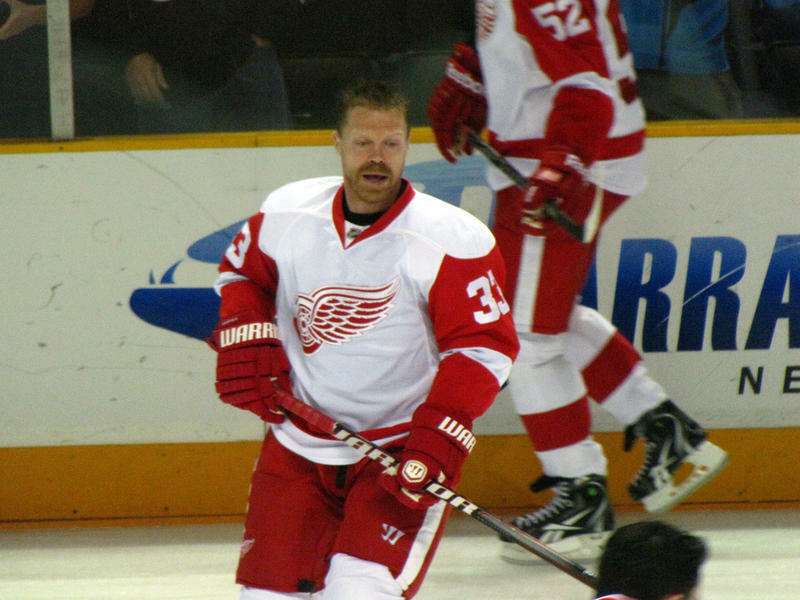 Called “the greatest American player of all time” by Red Wings head coach Mike Babcock, Chris Chelios has certainly left his mark on the city of Detroit and the Red Wings franchise. Listen to him discuss his new memoir, Made in America. While high-profile chemical spills and bacterial blooms have raised concerns about the safety of drinking water in the United States, it’s not the only pollutant reaching the water supply. Listen to chemist Andrea Sella report for the BBC on how the medicines we take are ending up in our environment. Rebecca Klaper, professor at the University of Wisconsin-Milwaukee’s School of Freshwater Sciences has been studying the presence of pharmaceuticals and personal care products (PPCPs) within the Great Lakes. Listen to Dr. Klaper discuss the presence of PPCPs in the Great Lakes. East Jordan Iron Works has a 131-year history in the state of Michigan. You can’t walk across a street in Michigan without stepping on a manhole cover branded with their name. Listen to VP Thomas Teske discuss the history of the company. In the fight against blight in Flint, Gordon Young had a goal of raising $10,000 to tear down a single decaying home on Parkbelt Drive in Flint. After contributions from over 150 donors, Young has exceeded his goal by more than $1,000. John U. Bacon shares his thoughts on hockey great Gordie Howe. You don’t have to know much about hockey to know about Mr. Hockey, Gordie Howe. This week, we learned his family is “expecting the worst.” With his days numbered, you’ll be reading a lot about Howe’s hockey heroics. He set just about every NHL scoring record, and a dozen still stand. One of the most impressive: he finished in the top five for scoring for two straight decades. He played in the NHL at 18, and at 51. 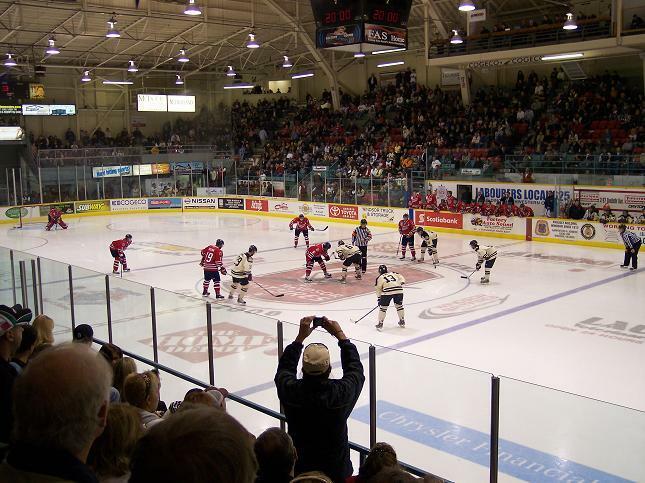 Howe’s heyday paralleled his team’s, and his town’s. The Wings were a dynasty, winning four Stanley Cups, and nine regular season titles. No team symbolized the Motor City’s might like the Red Wings. DETROIT (AP) - Hockey great Gordie Howe has lost some function on the right side of his body after having a stroke Sunday in Texas. 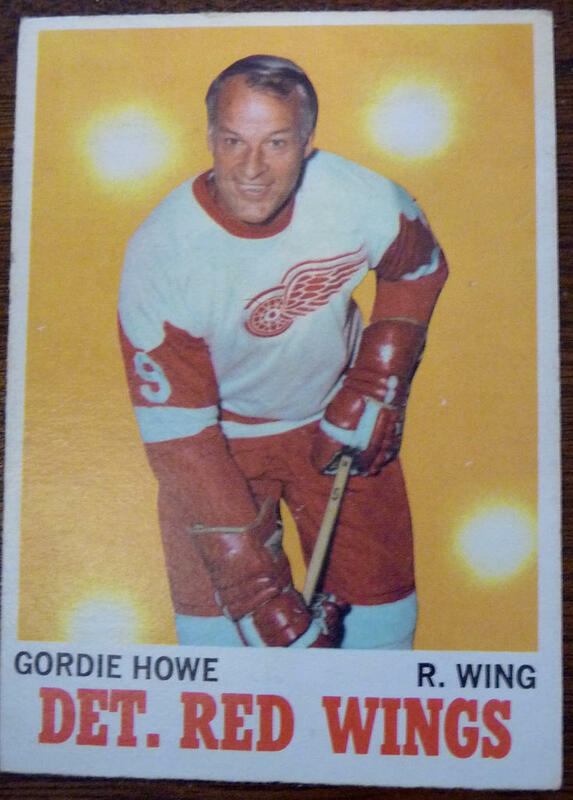 Howe's daughter Cathy says the 86-year-old Detroit Red Wings legend has lost much use of his right arm and right leg. Howe suffered the stroke in Lubbock, Texas, where his daughter lives. Detroit Red Wings captain Henrik Zetterberg played one game as captain of Team Sweden at the Winter Olympics in Sochi, before having to be flown to New York City for a surgery on his back. The injury could keep him out of action for the season. The Red Wings addressed the surgery in a press release today. 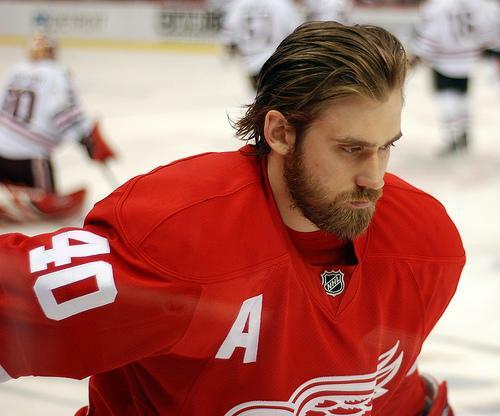 DETROIT- Red Wings captain Henrik Zetterberg today underwent successful surgery on his back. The procedure was performed by Dr. Frank Cammisa at the Hospital for Special Surgery in New York City. Just what do you want your city, your community, to look like? Crowded bustling streets? Quiet, residential homes only? Zoning laws determine these things, and although those two words don't sound altogether exciting, zoning laws are creating debate all over the state. We found out more on today's show. Then, what was that noise outside today? Did you hear it? Sounded like thunder? Well, in this crazy Michigan weather, we're getting thundersnow. We found out about this winter novelty. And, we spoke with the man who designed and painted the masks on the U.S. Olympic hockey teams. Also, we checked in with Daniel Howes on the UAW bid to unionize workers at the Volkswagen plant in Chattanooga, Tenn.
And, head to Ford Field on Saturday if you want to be part of a world record. ComePlayDetroit is organizing the world's largest indoor yoga session at the home of the Detroit Lions. First on the show, the state of Michigan is ending its exclusive contract with the Education Achievement Authority to oversee the worst-performing schools in the state. Michigan School Superintendent Mike Flangan sent a letter to the EAA saying the state will pull out of its exclusivity agreement with the Authority one year from now. Martin Ackley is with the Michigan Department of Education. He says the state still intends to use the EAA to help turn around struggling schools. So, what are the other options the state might use to help failing schools? And what's ahead for the controversial EAA? Jake Neher, who covers Lansing for the Michigan Public Radio Network, joined us today. As the world watches the U.S. Olympic hockey teams in Sochi, they’re getting a good look at some real, made-in-Michigan artistry. The masks worn by goaltenders Ryan Miller, Jimmy Howard, and Bianne McLaughlin were all painted by artist Ray Bishop at his shop in Grand Blanc. He worked his way up from there. This is not the first time Bishop's handiwork has been featured in the Olympics. He painted goalie masks in 2002, 2006, and 2010. 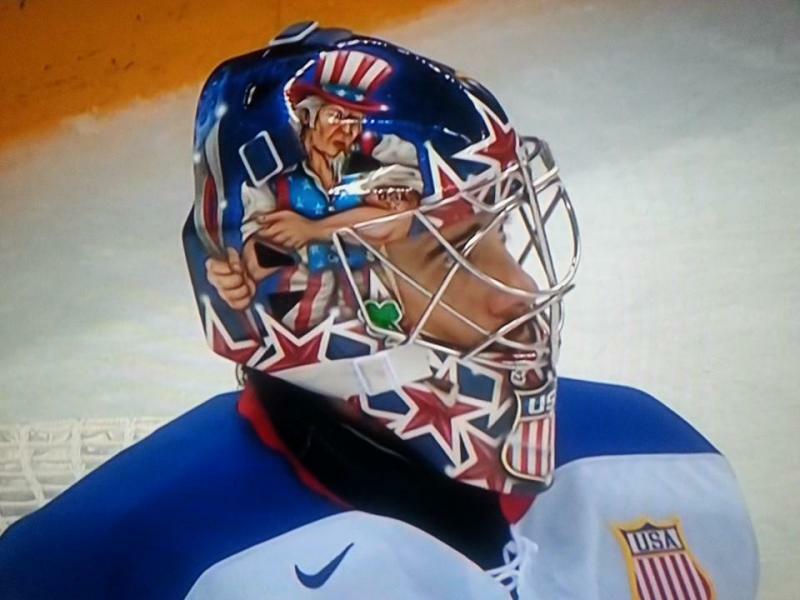 For this year's games, Miller’s mask features Uncle Sam holding the Sochi torch. Howard's has a stars-and-stripes pattern. 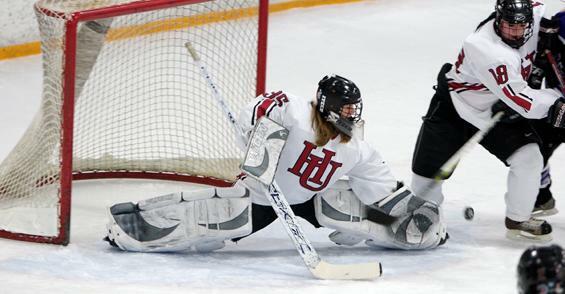 Brianne’s mask sports the shield from the U.S. jerseys. You can listen to our conversation with Bishop below. Listen to our interview with artist Ray Bishop. He calls himself a "hockey rock star" – and he's earned the right to do just that. Whether it was his 15 seasons as an NHL enforcer, the four Stanley Cups he won with the Red Wings, the legendary "Fight Night at the Joe" when he took down Claude Lemieux of the Avalanche, or his rock band "Grinder," Darren McCarty has played hard and lived hard, coping with family issues and addiction even as he skated to NHL stardom wearing No 25. He tells his story in an autobiography called "My Last Fight: The True Story of a Hockey Rock Star," written with the help of journalist Kevin Allen. And, just like Darren on the ice, this book pulls no punches. 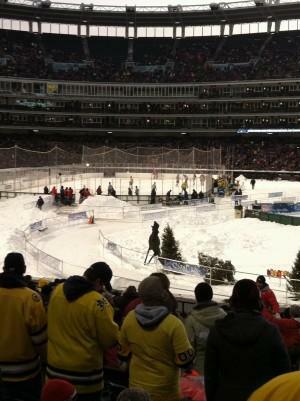 The NHL Winter Classic will be held in Ann Arbor's Michigan Stadium on January 1, 2014. The Toronto Maple Leafs will take on the Detroit Red Wings. Tickets will cost... a lot. 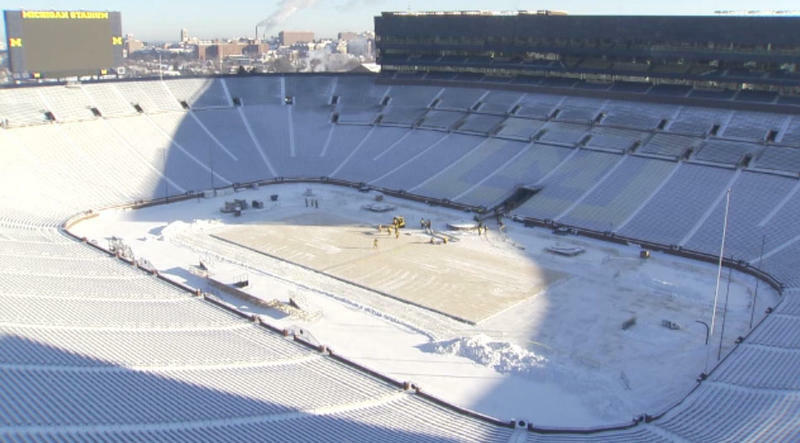 Right now, a hockey rink is being built on top of a football field. Students in Michigan's public schools are back at their desks. And for young football players, soccer players and other athletes around the state, practice has been happening in earnest for weeks. This will be the first school sports season under Michigan's new sports concussion law. We wanted to find out what it will mean to student athletes, their coaches and their parents. Laura Rowen joined us today. She's an injury prevention consultant with the Michigan Department of Community Health. Listen to the audio above. 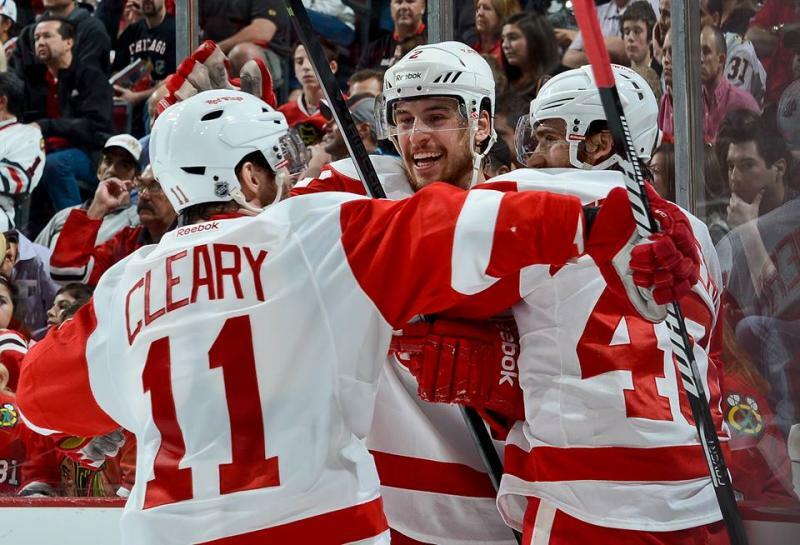 Can the Red Wings keep winning against the Blackhawks? An interview with John Keating of Fox Sports Detroit. Tomorrow night will bring Game Four in the Western Conference semifinals between the Detroit Red Wings and archrivals Chicago Blackhawks. The Wings handed the Blackhawks a pair of stinging losses in Games Two and Three, so tomorrow night’s game at the Joe finds the Wings up two games to one. John Keating covers the Red Wings for Fox Sports Detroit, and he has done so for many years, so he’s seen this team through its ups and downs. He joined us today in the studio. Well, he said, if you’re not consistent, you’re not a good golfer. Americans are great at building things, and rotten at maintaining them. We admire winners and celebrities, but we overlook the loyal spouse or the honest accountant or the people who maintain our bridges – that’s why they’re falling apart. So, let this be a salute to consistency – that most unheralded virtue. In 1984, Red Berenson took over Michigan’s moribund hockey program, which had not been to the NCAA tournament in seven years. 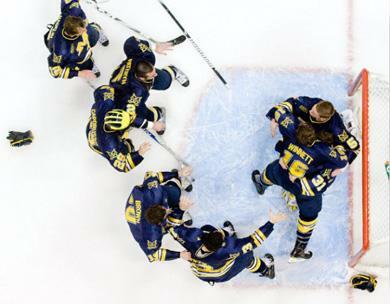 Berenson thought it would be easy, but it took seven more years to get Michigan hockey back to the big dance in 1991. Once they got into the tournament, they made it a point to stay there. Year after year, they kept coming back. Finally, in 1996, they won Michigan’s first national title in 32 years – and they did it again in 1998. They’ve come close a few times since, but they have yet to win another. This bothers Berenson, one of the most competitive men I’ve ever met. When he visited my class, I listed his many accomplishments on the board. 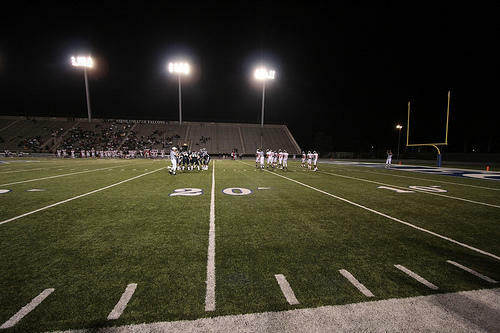 A lot of amateur athletes think they’re not that far from the people who play their sports for a living. 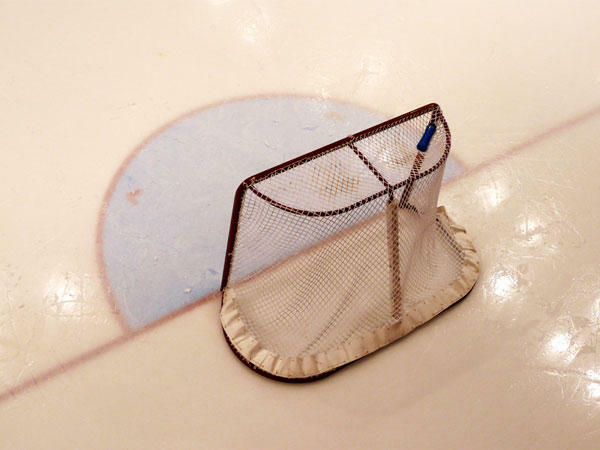 Well, when Michigan Radio Sports commentator John U. Bacon tried out for Detroit’s minor league hockey team, he found out that just isn’t so – and he found out the hard way. A few years ago – okay, a bunch of years ago – I bit on a bet I never should have touched. 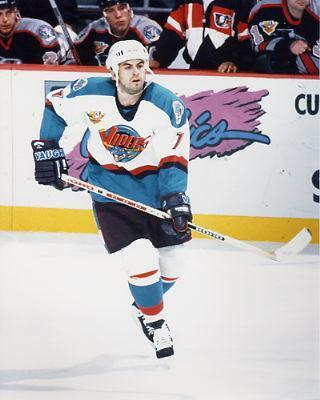 I was writing for the Detroit News, and a top minor league hockey team called the Detroit Vipers played at the Palace. So, I got to thinking: just how big is the gap, really, between the pros, and beer league players like me? Good question. And even better if I didn’t try to answer it. But, being the hard-hitting investigative journalist that I am, I had to go down to the Palace, and find out. I’ve played hockey my entire life, so I’m biased. But when you combine ice skating, stick handling, passing, shooting and yes, body-checking, in one game, you’ve got it all. 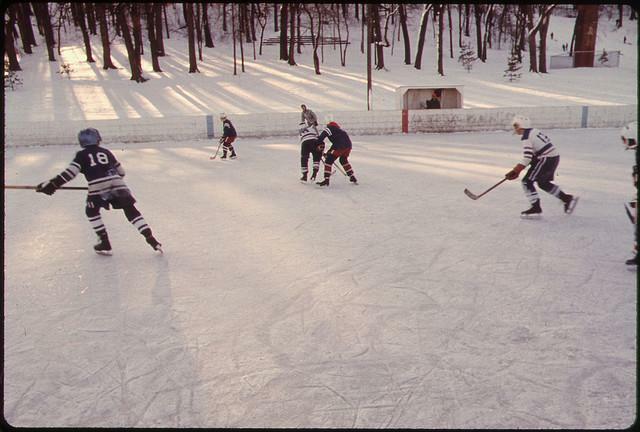 Until they start playing lacrosse in the water or golf on skis, hockey will remain the hardest sport to play, and the most impressive to see played well. So, for Detroit Red Wings fans, the NHL lockout was a nightmare. His parents named him Frank Joseph James Lynch—but everybody knew him as Budd. He passed away this week, at the age of 95. No, you can’t call that a tragedy, but you can call it a loss—one thousands are feeling. In a week that included no Big Ten teams ranked in the top 25, the idiotic NHL lockout and, far worse, Jerry Sandusky’s sentencing, I’d rather spend my few minutes with you honoring a man who lived as long as he lived well. Lynch was born in Windsor, Ontario, during World War I.
Lynch was 95. The Detroit Free Press has more. Teresa Bloodman’s son was thrilled to play on his freshman basketball team for two months. But, when the coach held a third round of tryouts so the football players could come out for the team, he cut Bloodman’s son. Teresa Bloodman was so livid she sued the school, the district and the state. She claimed cutting her son was arbitrary, that the lack of a formal appeals process was a violation of due process, and that her son has a constitutional right to participate in school sports. 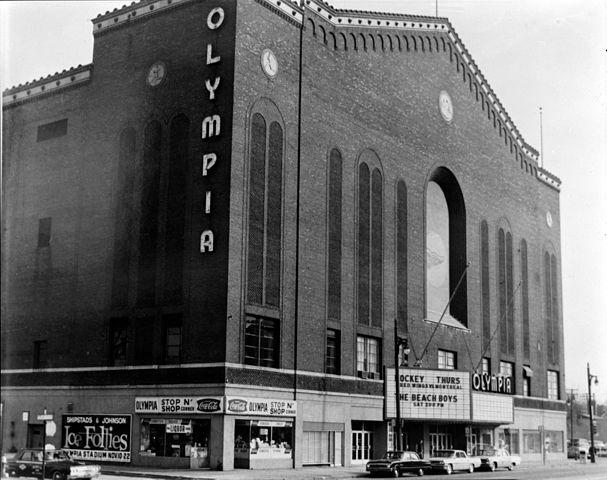 If you're a Detroit hockey fan, you're probably celebrating the Red Wings' recent record-breaking home win streak at the storied Joe Louis Arena---a bit of magic for a veteran team in an aging building---but across the river there's a piece of hockey history that make's "the Joe" look like the new kid on the ice arena block. CLEVELAND — On Sunday afternoon, I was one of the 25,864 people shivering in 27 degree temperatures at Progressive Field, watching the Frozen Diamond, a face off between the Michigan and Ohio State hockey teams. The Wolverines won, 4-1 — perhaps not the outcome that Buckeyes fans hoped for, but the event made Cleveland Indians president Mark Shapiro happy. “Pretty cool, out there, isn’t it?” Shapiro told reporters before the game. 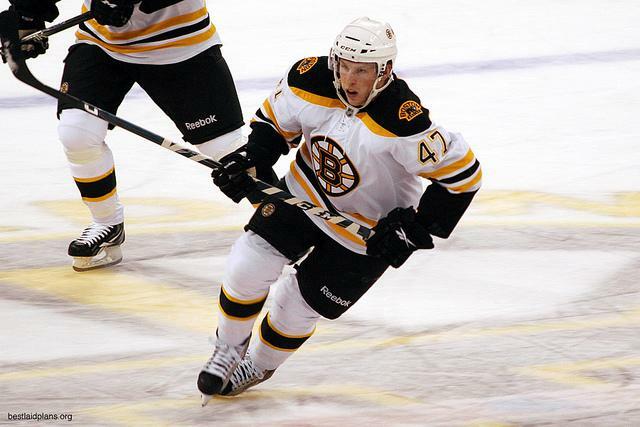 Steve Kampfer grew up in Jackson, and learned to play hockey well enough to earn a scholarship to the University of Michigan. He was a good student and player on great teams, but few expected Kampfer to make it to the NHL. What chance he had seemed to vanish in October of 2008, when he was leaving a campus bar. He started jawing with another student, who happened to be on the wrestling team. Things got hot, but it was all just words, until the wrestler picked up Kampfer and turned him upside in a single, sudden move – then dropped him head first on the sidewalk. Kampfer lay on the sidewalk unconscious, with blood sliding out of his mouth. His stunned friend thought he might be dead.